Wireless sensor networks do great job as they monitor physical or environmental conditions, and provide real time information on the health and condition of critical components and systems. It is quite logical that powering these systems is virtually impossible with wires, expensive with batteries and their associated maintenance. But that made the energy harvesters to come to the a unique opportunity for energy harvesters such as Midé's vibration energy harvester, the Volture Vibration Energy Harvester. Energy harvesting. What does it mean? Well, vibration is not the only source of ambient energy available to be harvested. Alongside t this there are light, heat and radio frequency energy. There might be applications with only one source of energy to harvest from, and multiple sources of energy. In order to take advantage of applications hybrid energy harvester (HeH) was created. 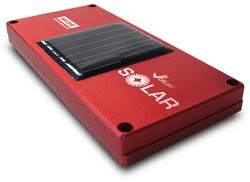 This is made by incorporating a rugged encapsulated solar-panel into the Volture™ enclosure. 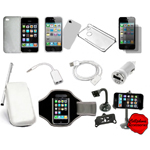 According to the PRWEB, Midé is developing the next generation electronics. It is expected to add solar and piezoelectric power in a method that will enable intelligent battery charging. Chris Ludlow, Midé's Director of Engineering, stated; "Midé is launching the first Volture™ Hybrid product in Fall '08. It will provide night and day power production, and long-term battery storage. You could say the Volture™ Solar Hybrid Energy Harvesting module shines another light on Midé's energy harvesting capabilities".